Hindustan Times Luxury Conference is back. The hugely successful event this year is scheduled for 25th & 26th March, 2011 in Mumbai. Besides the usual pack of head honchos of global luxury labels, HT Luxury will have legendary designer Emanuel Ungaro gracing the event. Ungaro made headlines for wrong reasons when they appointed Lindsay Lohan as the label’s Artistic Director and because of which their Creative Director Esteban Cortezar moved out in protest. The introduction of Lohan, which was meant to give the label publicity, was received with shock and dismay in Paris Fashion Week 2009. In 2010, during Paris Fashion Week, Lindsay Lohan announced that she was no longer working for or with Ungaro, and that she could not comment on the matter because of legal issues. 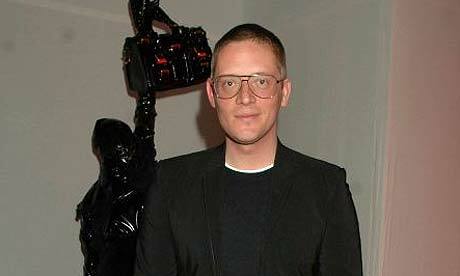 The label soon got its act together and hired the immensely talented British Designer, Giles Deacon. Emanuel Ungaro retired in 2005 and sold the label to American businessman, Asim Abdullah. Ungaro started his own label in 1965 after working with Balenciaga and Courrèges. The designer gave a new feminine form to women’s fashion and is still known for the bold colours and prints he introduced. Cosima Ungaro, his daughter might accompany the legend at HT Luxury Conference. Next Next post: Would U like to talk to Veena Malik on V Day??? well thats awesome, specially just few days after LFW. !!! reason to stay back . Is the visit from Lindsays mom really going to make a difference?